Calling all adventure lovers! The award winning Kendal Mountain Festival is back on the road with its UK Tour and heading to Birmingham. Join us at Midland Arts Centre to watch 90 minutes of the world’s BEST adventure films on the big screen - visual stories of talent, endurance and excitement to take your breath away! Ride icy waves in sub zero winter, chase tornados, run in the foothills of the Atlas Mountains and mountain bike into the wildest reaches of your imagination. PLUS discover how one man turned his midlife crisis into ultra running success and represented Great Britain at the age of 40! As we're joined on stage by the incredible ultra runner Damian Hall. He will be sharing stories from his many running adventures including completing the 105-mile Ultra Trail du Mont Blanc - UTMB four times, the Marathon Des Sables Sables in the Sahara Desert, the Ice Ultra in Arctic Sweden and the Berghaus Dragon's Back Race. Damian is a trail-ultramarathon runner, coach and outdoor journalist. His half marathon in 2011 was a life changing event! A year later he ran his first marathon and ultramarathon. Four years later he was representing Great Britain at the Trail World Championships. Trail-ultramarathon running has become a, mostly healthy, addiction. The sport brings out his competitive nature, but it’s much more about having a big sweaty adventure somewhere spectacularly lumpy, and the great health, happiness and friendships it rewards with. And the opportunity to scoff a lot of cake. In the UK, he’s placed on the podium at the Spine Race, the Dragon’s Back Race and the most recent British Athletics UK Ultra Trail Championships. Abroad, he’s completed the 105-mile Ultra-Trail du Mont-Blanc four times, the Marathon des Sables in the Sahara Desert, the Ice Ultra in Arctic Sweden, and placed in the top 10 at several Ultra-Trail Word Tour races. 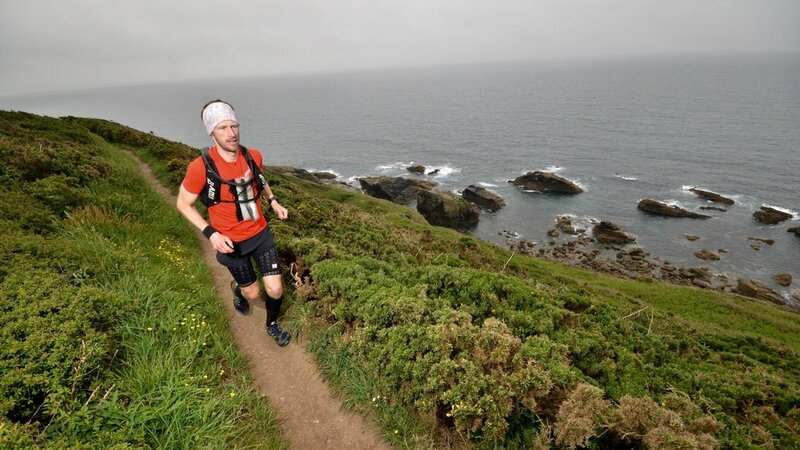 Damian has also completed a Bob Graham Round, a Charlie Ramsay Round and holds the record for the Fastest Known Time (supported) on Britain’s longest National Trail, the 630-mile South West Coast Path.